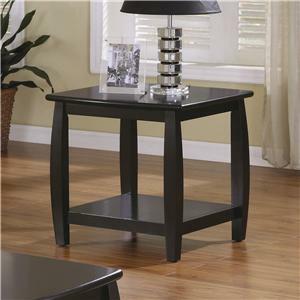 The casual contemporary designs of this cocktail table will offer a stylish focal point in your living room. Unique bowed legs and a rich cappuccino finish add to sleek features, while one large bottom shelf provides room for books, TV remote controls, or even blankets. Arrange with the coordinating end table and sofa table for a harmonious look in your living room, family room, or den. 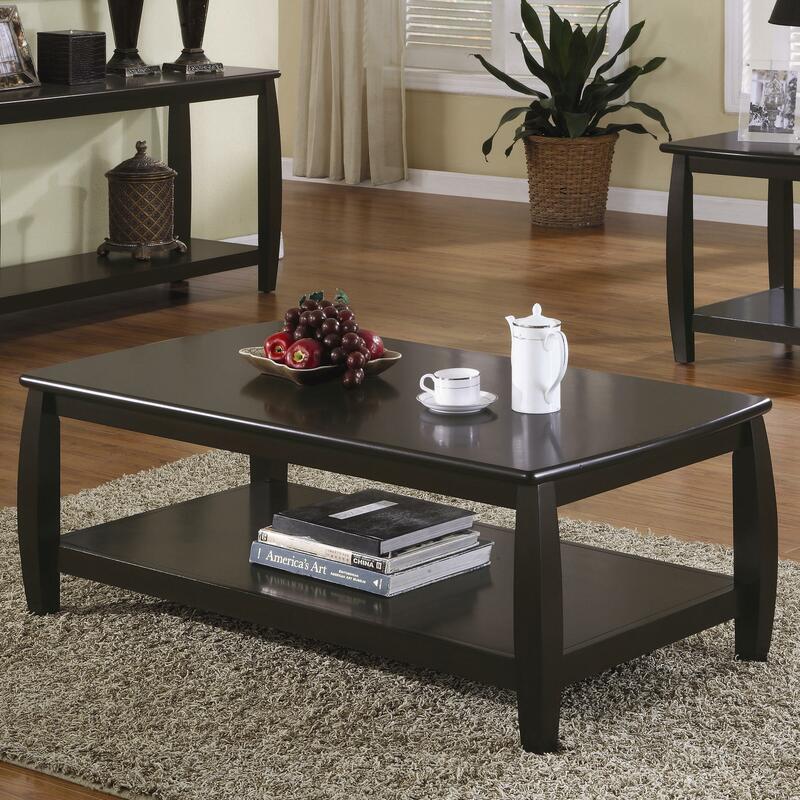 The Marina Coffee Table with 1 Shelf by Coaster at Value City Furniture in the New Jersey, NJ, Staten Island, Hoboken area. Product availability may vary. Contact us for the most current availability on this product. The Marina collection is a great option if you are looking for Contemporary furniture in the New Jersey, NJ, Staten Island, Hoboken area. 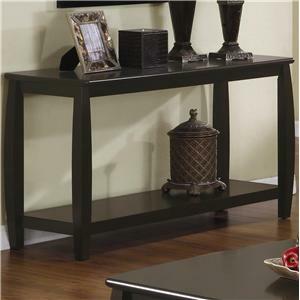 Browse other items in the Marina collection from Value City Furniture in the New Jersey, NJ, Staten Island, Hoboken area.